Going through divorce is one of the most challenging times in our life, even when the break-up is amicable. You are in the thick of it all and emotions run high. In times like this it is difficult to know what steps to take and how to best protect you. Our experienced, knowledgeable Denver divorce attorneys are here to help you, as much as you need or every step of the way, from the initial consultation to the final divorce degree, and beyond. The divorce process in Colorado follows a fairly straightforward path from filing for divorce to the degree of Dissolution of Marriage. However there are a few variables depending on whether the divorce is contested or uncontested or if the couple has children of their marriage or not. Note: The steps for Legal Separation are the same as for getting a divorce in Colorado. For additional information follow the applicable links below or view additional resources towards the bottom of this page. The first steps in obtaining a dissolution of marriage in Colorado is to file for divorce. You can either file jointly with your spouse or by yourself. Either you or your spouse must reside in Colorado for at least 91 days preceding the filing. The filing is typically done at the county where the Respondent is residing at the time of the filing. After filing the initial documents and before the Initial Status Conference you and your spouse will need to complete additional documents including a Sworn Financial Statement and make mandatory financial disclosures to each another. If Temporary Orders were not entered during the Initial Status Conference there may be a separate hearing scheduled for Temporary Orders. Not all cases have temporary orders entered prior to Permanent Orders Hearing. The Permanent Orders Hearing is the hearing held in court where the final orders are entered for the Dissolution of Marriage. The orders may include child support, parenting time, maintenance, property division etc. You will have a Degree of Dissolution of Marriage at the end of this Permanent Orders Hearing. Click on the buttons below to navigate directly to the divorce topics listed. The content of this page is for general informational purposes only, and should not be considered advice in your case. Every divorce, even an amicable one, has legal nuances that only an attorney can understand. If you’re getting a divorce, let us help you! 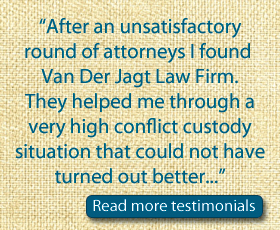 Our divorce attorneys know the intricacies of divorce proceedings in Colorado and the details of the law. The content of this page is for general informational purposes only, and should not be considered advice in your case. If you’re getting a divorce, you need a Denver divorce attorney who knows the intricacies of divorce in Colorado and the details of the law. 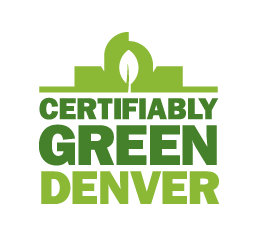 Call for your FREE in person consultation 303-803-2244. All inquiries are strictly confidential.